These earrings are rich in color and movement. 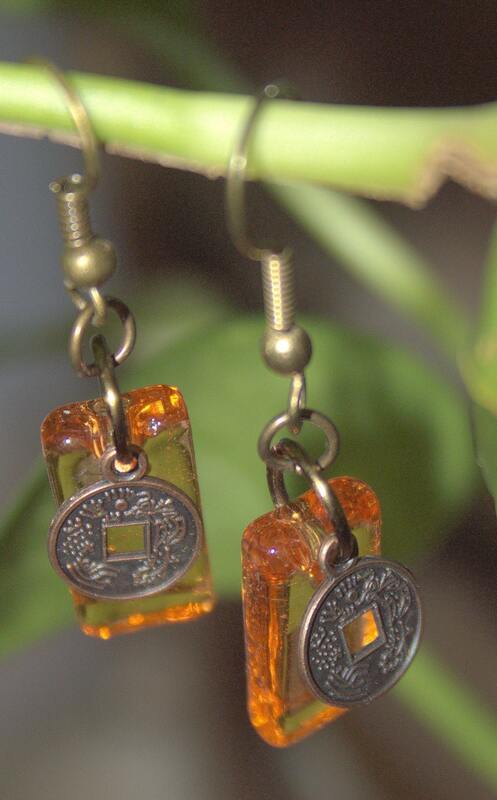 They are made from an amber colored fused glass rectangle that is @ 3/4" (2mm) long and has a copper Chinese coin dangle that is 1 mm in diameter . The earrings have antique brass colored French ear wires made of Niobium and are hypoallergenic. 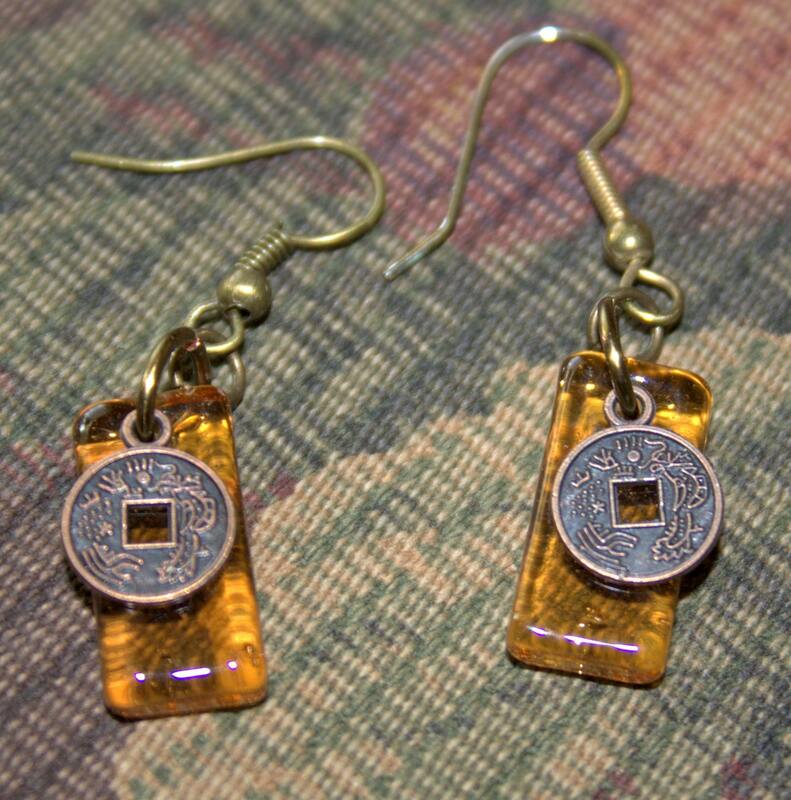 The earrings are 1 3/4" long and have an Asian style to them.